Our Nappy Bag Kit is perfect for families on the move! This bag is small enough to add to your nappy bag but big enough to handle most emergencies. We have included a digital thermometer, wound cleaning solution, gauze, antiseptic cream, plasters, paper tape scissors and bandages. There is a crepe bandage for sprains and burnshield for burns. There is eye rinse for anything left in the eye that their tears don’t remove. Metal Tweezers for removing splinters and hand sanitizer for general hygiene. There is a pair of gloves and a CPR mouthpiece. 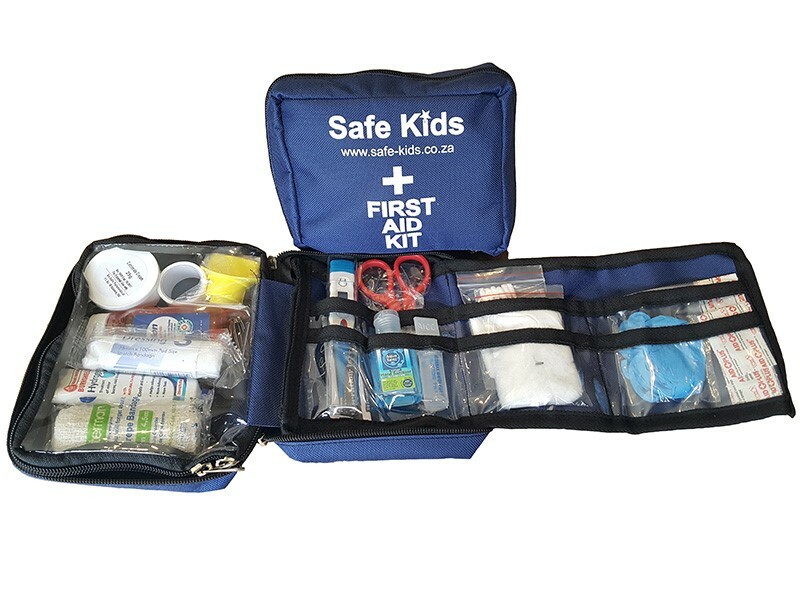 We love the Essential Home Kit as it the perfect size to handle basic medical emergencies with plenty of space left to add all your other medication for coughs and colds or any chronic medication your children may need. The contents include everything mentioned in the Nappy Bag First Aid Kit and a few extra’s including gauze, Burn-shield, splints, bandages and more! The box can be locked to keep the medication secure at home. Remember! – when you go on holiday just take the box and you will be organised and prepared. 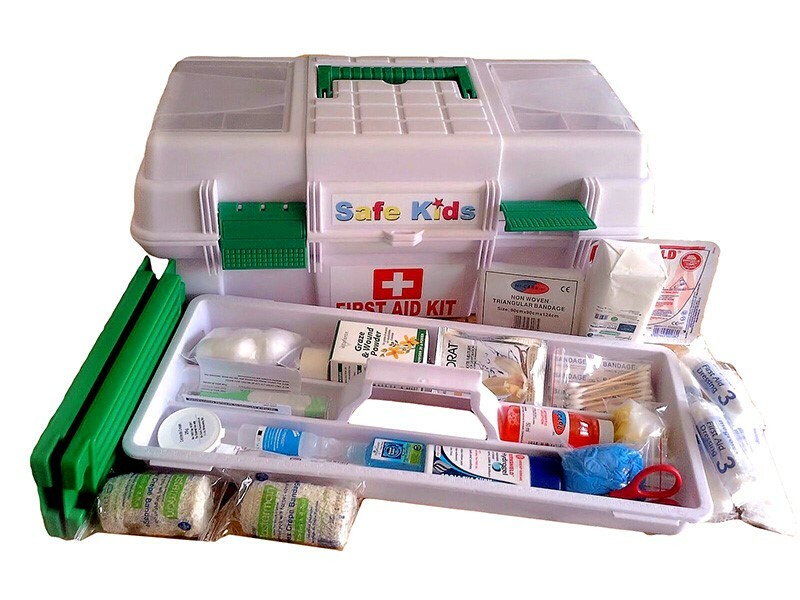 In accordance to the Occupational Health and Safety Regulations, this kit is required in pre-schools, schools, offices and factories. 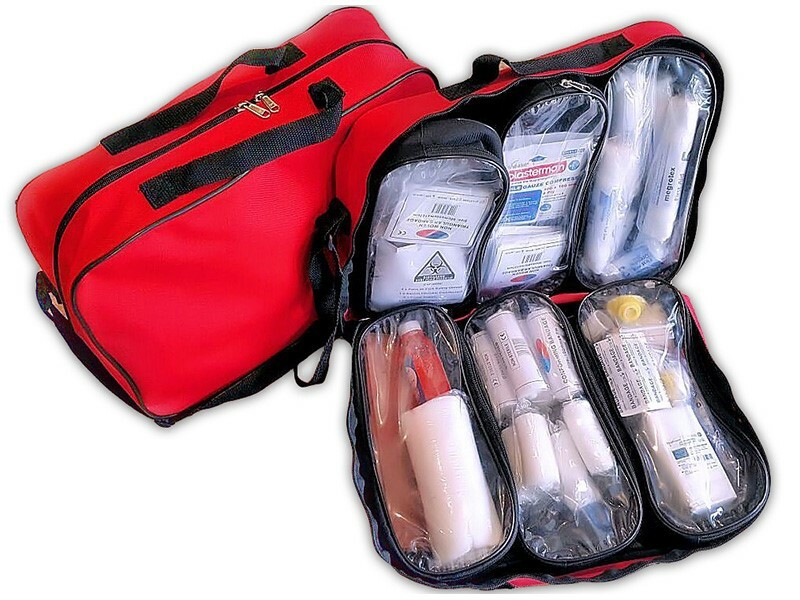 The Schedule 7 Kit is available as a refill kit (contents only), or as a complete kit in a red carry bag with individual pouches. Safe Kids offers accredited First Aid training in line with current best practice. The added value is the practical insight you will receive as our trainers have years of pre hospital medical experience.